Note: To minimize the spread of didymo, pouous-soled waders and boots are prohibited in trout parks and other cold water trout streams. On a regular basis the Missouri Department of Conservation stocks the four trout parts and some of the cold water streams in Missouri. 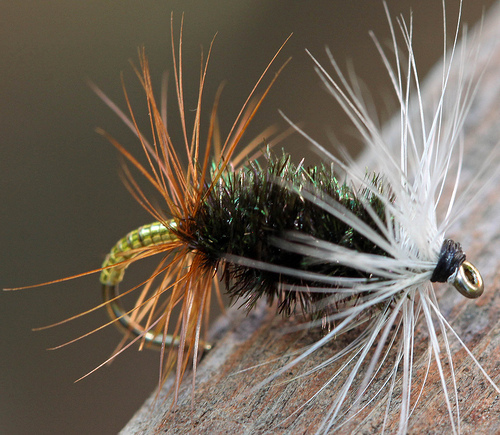 Two type of trout - rainbow and brown - are used in the stocking. 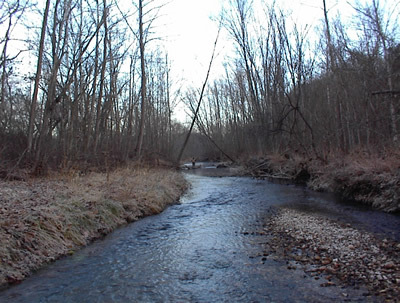 Approximately 120 miles of Ozark streams provide quality trout angling. The Missouri Department of Conservation has divided the trout streams of Missouri into three categories. These categories are Blue Ribbon, Red Ribbon and White Ribbon streams. As you continue down the page, more information is available about each stream category and streams in that category. Also, a special thank you to Matt Tucker's and his Ozark Chronicles for allowing me to connect to his site for information about the individual streams in each category. Blue Ribbon trout areas include parts of large, cold rivers with excellent trout habitat and smaller streams that support naturally reproducing rainbow trout. Harvest is limited to maintain the maximum density of adult trout, create excellent catch-and-release fishing, and provide the occasional chance to harvest a trophy. These areas on the Current and North Fork f the White rivers are stocked with brown trout, and the Eleven Point is stocked with rainbows. Reb Ribbon trout areas have high-quality habitat stocked primarily with browns. They provide catch-and-release fishing and a chance to harvest quality-size trout.